This research aimed to describe the mastery of gas kinetic theory concepts using the HOTS-based Bloom’s taxonomy on the eleventh grade students at MAN Jember. The type of research used descriptive qualitative and quantitative research. The subject were the students of the eleventh grade. There are 33 students at MAN A Jember, 25 students at MAN B Jember, and 37 students at MAN C Jember. The data collection method is obtained through written tests, documentation, and interviews. The instrumen used a description test question consisting of 8 items based on Bloom’s taxonomic indicators based on HOTS, namely analyzing (C4), evaluating (C5), and creating (C6) on the kinetic theory of gas material that had been studied before the test was admistered data is obtaimed from students answer scores in answering diagnostic test question. Based on the result of the research, the level of mastery of the concept of MAN A Jember students is sufficient with a percentange of 42%, students of MAN B Jember by 30% with a low category, and student of MAN C Jember with a percentange of 41% categorized sufficient. Based on the percentange of each school, the average mastery of concepts in MAN Jember was 38% with a low category. Key word: mastery of concepts, gas kinetic theory, and Bloom’s taxonomy. AGUSTINA, Mega; YUSHARDI, Yushardi; LESMONO, Albertus Djoko. ANALISIS PENGUASAAN KONSEP-KONSEP TEORI KINETIK GAS MENGGUNAKAN TAKSONOMI BLOOM BERBASIS HOTS PADA SISWA KELAS XI IPA DI MAN JEMBER. 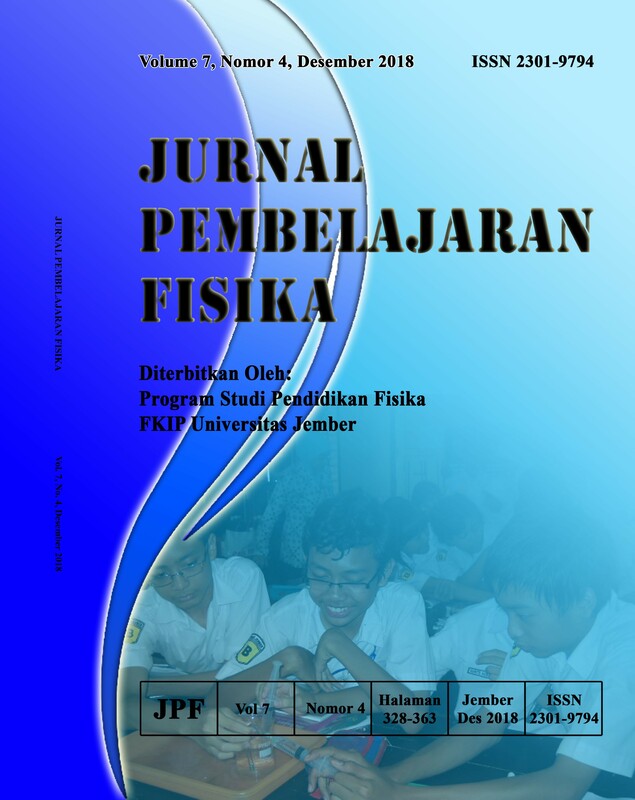 JURNAL PEMBELAJARAN FISIKA, [S.l. ], v. 7, n. 4, p. 334-340, dec. 2018. ISSN 2301-9794. Available at: <https://jurnal.unej.ac.id/index.php/JPF/article/view/9654>. Date accessed: 24 apr. 2019. doi: https://doi.org/10.19184/jpf.v7i4.9654.